Measures 11' X 34' X15' (l x w x h) fully inflated. Can only be inflated when the temperature is above 32 degrees. Consists of a screened in play area with basketball hoop, a wet/dry slide and optional pool. 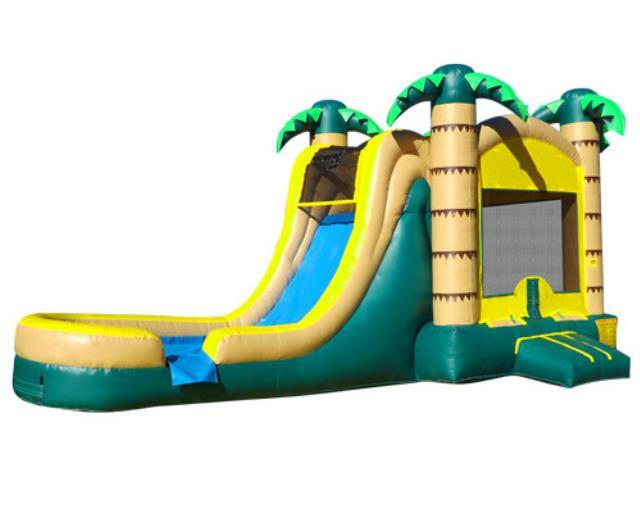 * Please call us with any questions about our tropical bounce combo wet/dry rentals in Corning and Bath, serving the Finger Lakes Region of New York.